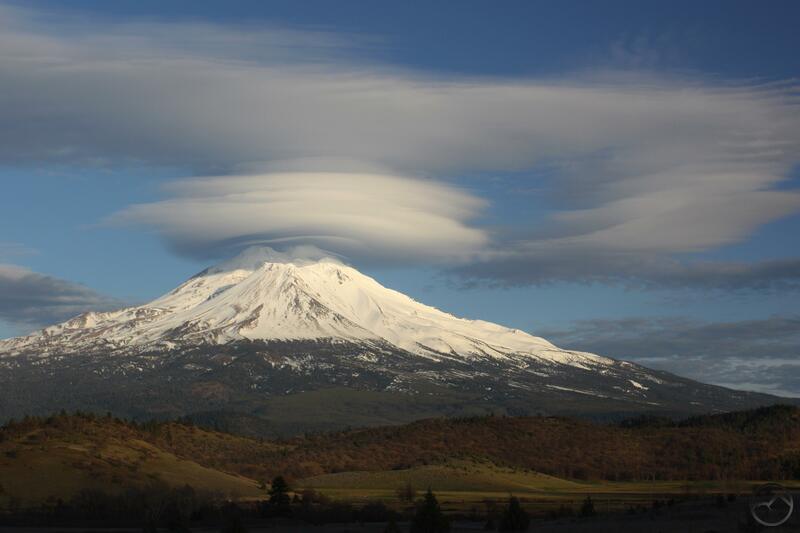 A complex lenticular formation swirls around Mount Shasta. This evening saw one of the more impressive lenticular displays I have seen on Mount Shasta in a while. Anyone who has followed this site for a while knows that I am a bit of a lenticular junkie. I think the thing about them that really appeals to me is their unpredictability and unusually spectacular appearance. Many mountains are beautiful in their own right, as is Mount Shasta, but few are embellished so frequently by such surreal and magnificent shapes. After skiing all day with our oldest son, my wife alerted me to the cloud’s presence this afternoon. When they got home, I took off and headed north to evaluate the cloud and determine what angle would be the best one from which to observe and photograph it. The angle of the ancillary clouds made continuing north the thing to do so I headed up into the Shasta Valley and parked at one of my favorite spots to watch the show. I had Wade Bowen and Randy Rogers playing on the radio as I stood out in the wind next to my tripod, watching the clouds roil, churn and change. The lenticulars directly over the mountain remained fairly constant but the formations above and to the sides were in constant flux. As the sun set, the whole display lite up. I was reminded how fortunate one is to be living in Jefferson. 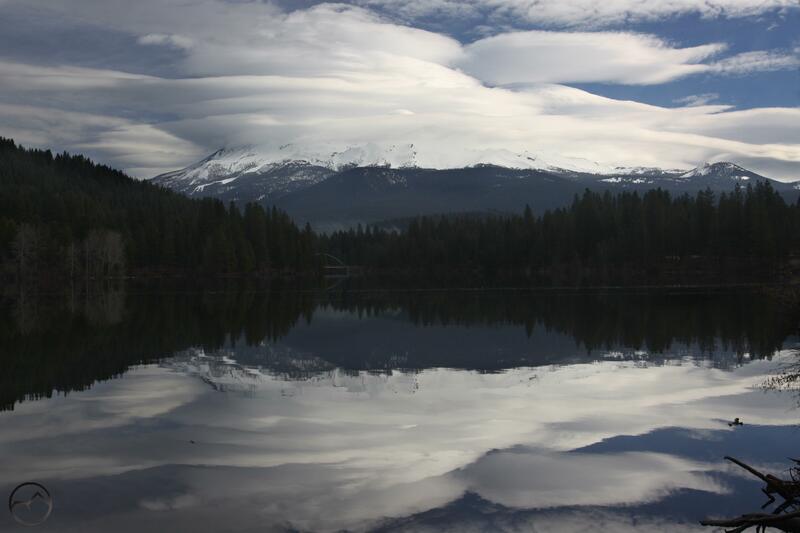 Apparently Mount Shasta wasn’t done putting on a show and continued the epic lenticular display through this morning. The light was not as good but the show was still an incredible sight. I had my three kids for the morning while my wife was at work so I took them down to Lake Siskiyou and let them play while I tried to get some shots of the mountain. Fortunately, despite the obscured light, the lake was still and the reflection was decent. It’s good fortune that such a beautiful spot can be reached so easily. 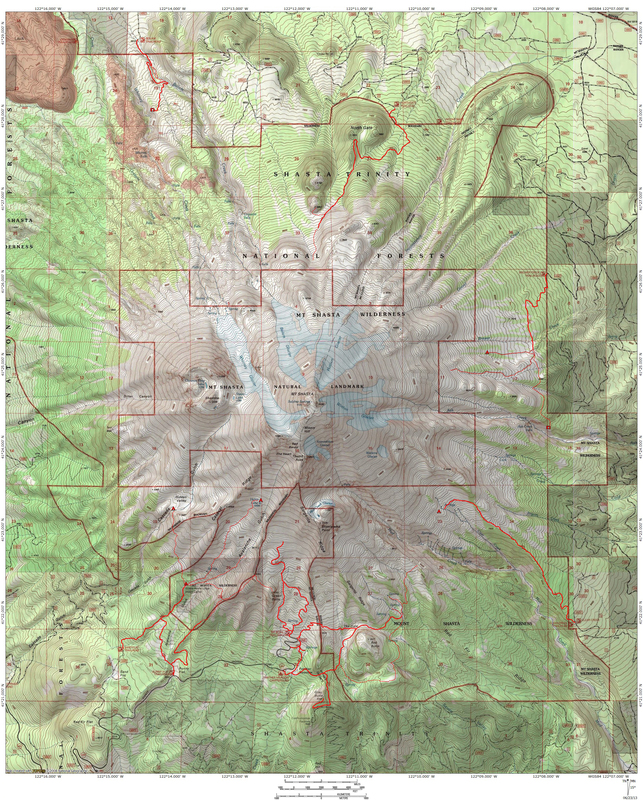 Your best set of lenticular formations yet! Well done! Glad you made it up here, though the Eastern Sierra is pretty unbeatable. True, but each area has their own beauty about it and our stay was very special. The people seem to have a more laid back outlook (I miss that from Germany) and time is slowed down a bit. The energy was awesome and I felt very calm and at peace. That is a truly spectacular show. Well captured. I love the lenticulars we get here on Mt. San Antonio above L.A., and further east on San Gorgonio when we get out that way. Thanks very much for your interest in Under Western Skies.